As China’s economic growth stalls, officials are doubling down on entrepreneurship to increase employment, attract investment, and create wealth. 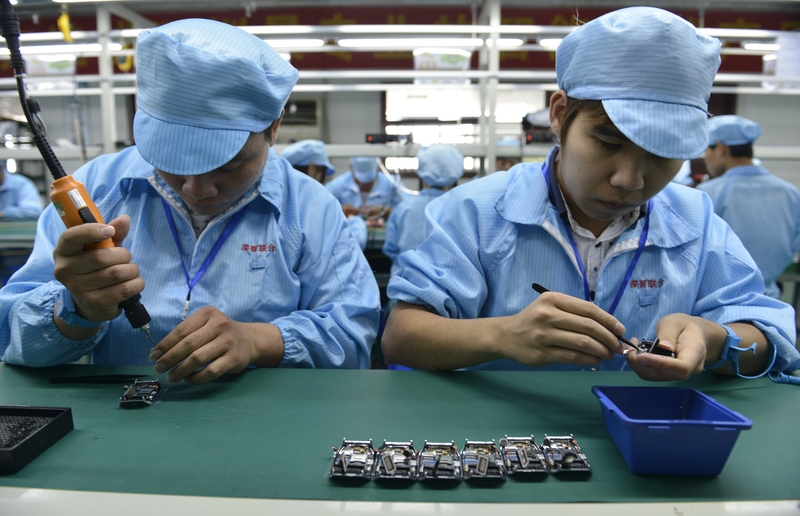 Job creation, next to economic growth, has been a top priority for Chinese Premier Li Keqiang. But China’s lower-than-expected first-quarter economic growth is a harbinger of bad news on the employment front. Last week, China’s official purchasing managers’ index (PMI) for April was 50.1, barely above the 50-point mark that separates growth from contraction. Both the official PMI and the HSBC manufacturing PMI reported declines in employment. China’s job market is facing pressure on two fronts. Its export-driven manufacturing base is losing its competitive edge as higher costs have sent low-skilled labor overseas to South Asia and South America. The excess manufacturing capacity, coupled with slower infrastructure and real estate development, creates a swell of unemployed migrant workers prone to social unrest. The Hong Kong-based China Labor Bulletin recorded 569 strikes or protests in the fourth quarter of 2014, more than three times the amount during the same period in 2013. Newly minted university graduates also face a tough time. Officially, 15 percent of new college graduates in China are still unemployed six months after graduation. However, the true figure could be around 30 percent, according to Joseph Cheng, a professor of political science City University of Hong Kong. “These are big numbers. You can easily imagine this could certainly be a very important source of unrest in China,” Cheng told the BBC in an interview last year. An increasingly large group of unemployed intellectuals and students could fuel the type of discontent that prompted the Tiananmen Square protests in 1989. Until 1994, Chinese workers were mostly assigned a job by the regime, and expected to keep the position until retirement. This created generations of “iron rice bowl” earners dependent upon the state, living in an environment that discouraged ambition and innovation. Since then, a growing economy generated enough public and private jobs to allow one to choose an occupation. While on the surface this created an illusion of a market-driven economy, the underlying economy—and ultimately jobs and sector growths—was still up to the state to manage. But today, amid China’s “new normal” of stalling economic growth, the byproduct of unemployment has become one of Beijing’s biggest fears. On May 1, China’s State Council, the country’s cabinet, rolled out official policies requiring the regime at all levels to prioritize job creation. Guidelines to encourage startups and entrepreneurship were a central part of the new policy, including the guarantee of up to 100,000 yuan ($16,000) in small entrepreneurship loans. Even migrant workers were encouraged to start businesses either online or back in the countryside. The latest policy is part of a recent “startup frenzy” promoted by the regime to jumpstart innovation, jobs, and economic growth. At Chinese online bookstore Dangdang.com, one of the most popular titles is “Never Give Up—24 Lessons for Entrepreneurs from Jack Ma.” The book is of course about Jack Ma, the founder and CEO of Internet giant Alibaba and China’s richest man. Ma began his career as a teacher earning less than $20 per month. Today, he’s worth more than $22 billion, according to Forbes estimates. And Ma isn’t the only one. The hall of fame for Chinese startup kings includes names such as Lei Jun, founder of smartphone maker Xiaomi; Ma Huateng, founder of Internet conglomerate Tencent Holdings; and Robin Li, co-founder of search-engine Baidu and the second-richest man in China. Such rags-to-riches stories are well known in China, and state media heaps praise upon these select few entrepreneurs. Almost on a daily basis, anecdotes about technology startups are featured in the Party’s official newspaper People’s Daily, as well as the Weibo accounts and blogs affiliated with the Communist Youth League, a state organization that trains young Party members. Entrepreneurship is only for a small minority of people, it’s not for everyone. But today’s China is far from an incubator of innovation. While Beijing touts entrepreneurship as the new frontier, it could simultaneously be laying the groundwork for the next great asset bubble. While the landscape is slowly changing, generations of Chinese were wired to place stability and longevity above risk taking. According to the Xinmin Evening Post, as of 2013 around 2.1 percent of all university graduates started their own businesses, with a failure rate of above 90 percent. The Xinmin report also pointed to a lack of entrepreneurship experience among college faculty and the current market/infrastructure environment within China offers a poor setting for startups. Andrew Yan, managing partner at SAIF Partners, a leading Asia-based private equity and venture capital firm, warned that “Entrepreneurship is only for a small minority of people, it’s not for everyone,” in an article on the popular Chinese news site NetEase. An open conflict between Chinese e-commerce giant Alibaba Group and China's main corporate regulator has attracted widespread media attention.